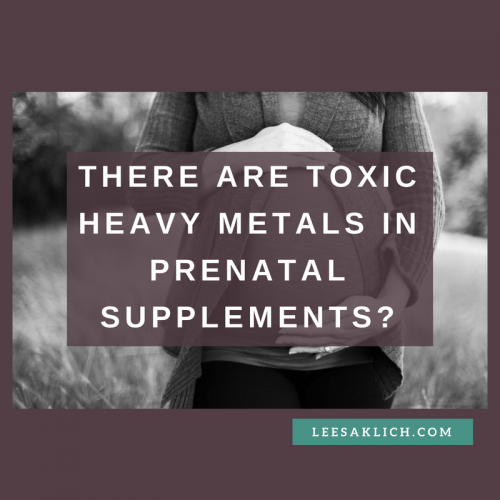 Is it true – Are there toxic heavy metals in prenatal supplements? Sensationalized Headlines? Misinterpreted results? Selective reporting of data? Where are these toxic heavy metals coming from? Signing off and toasting: To skeptically and thoughtfully reviewing new studies! Short answer: Yep, there are toxic heavy metals in prenatal supplements. You may have heard the recent study called: Heavy metal contamination of prenatal vitamins. ASIDE: The reason I wanted to go over this study on my blog is that, not only am I trained in toxicology and nutritional science at the Master’s level, but I also worked in product safety in the health products industry, including with supplements, for 12 years. Not to mention the fact that I took Canadian prenatal vitamins for my pregnancies. This study totally piqued my interest! • Toxic elements are found in prenatal vitamins with lead at unacceptable levels in more than half of the products tested. • Arsenic is also found in some products at unsafe levels. • Thallium is present at levels in some products that are not acceptable. • Some products have very low level, which are safer, and recommendations are made to have industry (self regulatory) and government oversight to have the least contamination of prenatal vitamins. Right now the health risks are all potential, not proven. We don’t know that these supplements are linked with any concerns for either moms or babies – more research is needed. The researchers are calling on industry and the government to ensure these levels of heavy metals are addressed. This is the first question I always ask myself: Is it true? Is this news real or fake? Is this science good or bad? Let’s start with the bad media/internet coverage first. I haven’t seen any press coverage of this study, so I don’t know if/how the media and internet personalities are talking about this. I haven’t seen headlines of any sort, let alone sensationalize ones. If you have, link them in the comments below, I’d love to see them! This study was designed to research the possibility of toxic element contamination in a variety of commonly consumed prenatal supplements – a product ingested by most women in the developed world during gestation and lactation. This study was just published in the peer-reviewed medical journal called Toxicology Reports. Peer-review is important for a few reasons. The whole process of doing science is to look at or test ideas by removing subjective opinions and personal experiences – in other words – removing bias. In order to do this, scientists publish their work in journals for scrutiny from other scientists. Literally – they put their work out there to be criticized! First, their work is reviewed by their peers – other scientists in the same field. Then, if/when it’s accepted for publication in the journal, it goes out to the world so thousands of other scientists (and others who understand the language of “science-ese”) can comment on it. Over and above these, each study outlines the methods used to do the research. What type of study, what type of statistics, etc.? Everything goes out there for scrutiny. Unfortunately, some researchers, instead of publishing in peer-reviewed journals, publish their works in “predatory journals.” These are essentially “pay to play” money-making journals that will publish anything they get – for a fee. These journals are NOT peer-reivewed and are NOT indexed in PubMed (PubMed only accepts the high-quality journals for their database). Another thing some researchers do instead of publishing in a peer-reviewed journal, they publish a book, or online program, or create a product to sell. PRO TIP: If you come across a health or medical study that’s not found in PubMed – beware! If you’ve heard that peer review isn’t perfect – it’s not! Having said that, it really is one good way to ensure there is a minimum quality standard for health studies published in credible journals. This is an easy find – but it’s not the only or the best way to know if a study was done well. For the past several years, medical journals have required disclosure of conflicts of interest. You can usually find those close to the bottom of the study. Don’t give these too much weight! They’re really just one of several things about a study that can make it less-than-ideal. Plus, just because someone’s study is funded by an interested party doesn’t mean they absolutely had influence on the outcome of the study. It’s possible, but not the only, nor the most important thing to consider. Funding and conflicts of interest – There are no conflicts of interest. The first and second author shared the cost for the toxicological testing at ALS labs. According to this, this study is free of conflicts of interest, which is nice to know. The interesting thing about this study is that the samples used ARE representative of prenatal supplements available in Canada. And, if they’re available in Canada, they might also be the same ones available in the US and elsewhere – possibly. Any people who may have taken these supplements – this was an analytical chemistry study only – not one that looked at health outcomes in anyone at all. This principle goes for every health study – what exactly did the study look at – what did it represent? Research can done in an infinite number of ways, so we need to look at what it actually represents. Studies done in animals or cells don’t apply to people. So, since this study was not even done in people, just testing for certain metals in certain supplements, it actually doesn’t directly apply to people. The researchers looked at 26 prenatal supplements they got from health food stores and pharmacies in Canada. Prenatal vitamins were collected from assorted retail outlets including several health food stores, pharmacies, as well as food retailers within a large metropolitan city – Edmonton, Alberta, Canada. All available prenatal brands found were acquired and included – no brands were excluded. Altogether, 26 varieties of prenatal vitamins were collected, with 16 samples having more than one lot number to determine intra-product variances. 51 samples in total were sent for analysis to ALS Scandinavia labs. Some products only had one lot number in multiple locations throughout the metropolitan area, and thus we were only able to test one batch of these particular brands. This study didn’t have any correlation/causation because it looked at amounts of certain metals in certain supplements. There is no indication whether they correlated/caused with any health outcomes at all. No people were included in the study. There are established upper limits of ingestion on a daily basis of toxic elements from various organizations. However, few organizations have set limits for reproductive toxicity in relation to gestational and/or lactational exposure. The most stringent are from Proposition 65 in California and the US Pharmacopeia as listed in Table 1. See Table 2 for the number of samples that ranked higher than the acceptable limits for each metal. The good news is that when it came to mercury, cadmium, thallium, and nickel, none of them exceeded the acceptable limit. Three of the 26 had too much aluminum and arsenic. Fourteen had too much lead. While these results are NOT cool (read: concerning), at this point we really don’t know that they’re associated with any health concerns at all so far. I talked before about how some miniscule health risks and benefits are often blown out of proportion using the “coffee causes cancer” scare as an example. The main concern from this study was lead, since it was found in every single sample. Lead is also found in food, water, and tea. Plus, it can bioaccumulate and affect exposed children’s behaviour and brain health. There is a potential issue here. This is often yet to be seen. Whenever a new study is published, did it try to look at the results of a previous study in a different or new way? Or was it testing a brand new hypothesis? These results are in keeping with previous results from the U. S. Food and Drug administration (USFDA) done in 2008 almost 10 years ago where average Pb levels in prenatal vitamins were 0.845 μgm/day. In this case, these recent results are similar to results from 10 years ago, even though the amounts in this study are smaller (0.535 μgm/day). In terms of other metals, we will have to see future research into the amounts of heavy metals found in supplements. Whether it’s from the raw materials themselves (active ingredients on inactive ingredients), the transportation, the manufacturing, etc. This is something that the manufacturers will have to each figure out for themselves. For people who take them: Get enough essential minerals. Essential minerals can prevent the body from absorbing toxic heavy metals in the first place. Likewise, adequate essential minerals will protect the body from absorbing toxic elements which are listed in descending order of importance in this protection: Se > Ca > Mg > Fe > Zn > Cu. All prenatal vitamins had some Ca, Mg, Fe, Zn, Cu, K, Na, and manganese. However some had negligible amounts. Four of the vitamins tested did not include Se, which is the most protective. PRO TIP: Some of the least expensive products without any special claims had lower amounts of heavy metals than some with “organic,” “non-GMO,” or “pesticide-free” claims. The cost range of the samples was quite substantial with the lowest cost tablet at $0.03/day to a high of $2.06/day. A cost/benefit analysis on these vitamins revealed no correlation between product cost and the level of contamination. Interestingly, however, the most expensive sample provided the highest levels of toxicants. Being labeled as non-GMO, organic or pesticide-free did not correlate with the level of toxic element contamination. The reality that some lower cost products are able to achieve less contamination suggests that safer products with less accrued toxic elements are possible to achieve. Yep, it seems to be true that many prenatal supplements available in Canada have unacceptable levels of toxic heavy metals. We don’t know if this is linked at all to any health effects – more research will show. 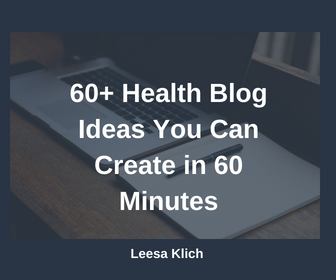 More importantly, if you do see health headlines or studies, you can skeptically review them based on what you learned in this post. Did you hear about this study in the media or online? If so, add the link in the comments below and we can see how accurate it is. Do you think that pressuring industry and regulators for better quality supplements is the best strategy now?